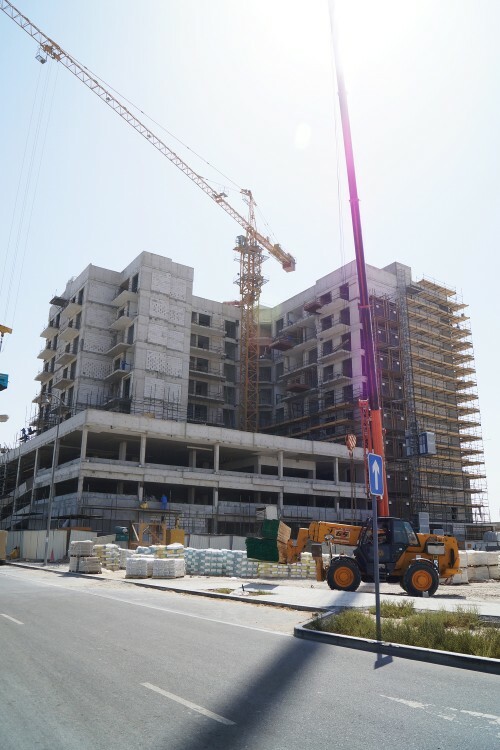 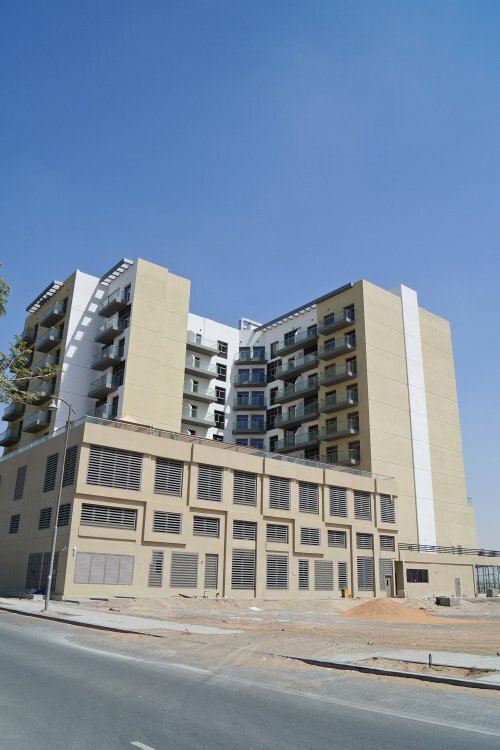 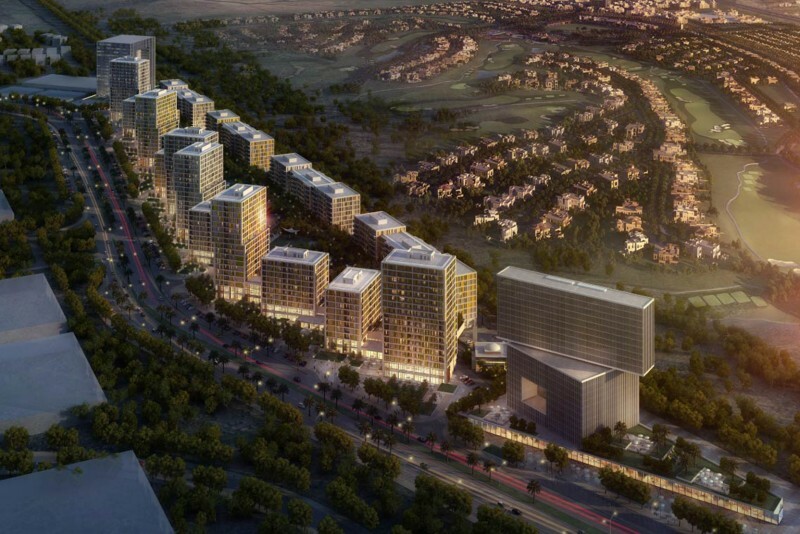 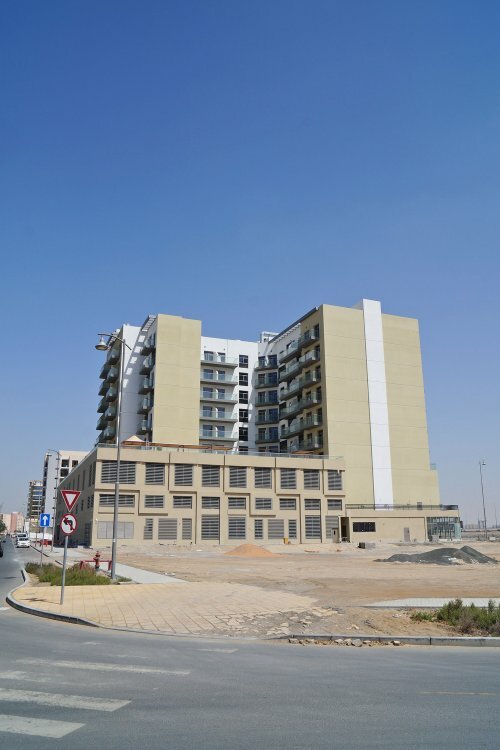 Roy Mediterranean is a ten-storey serviced apartments building developed by Azizi Developments in Al Furjan. 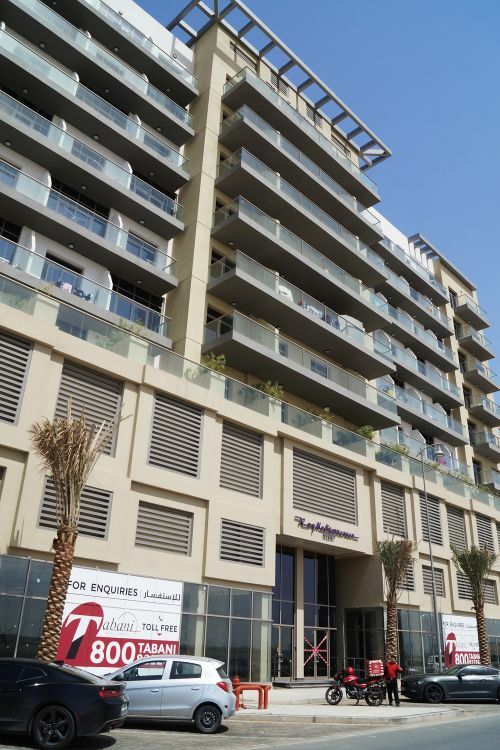 The building contains 271 fully-furnished luxury apartments with hotel facilities comprising 224 studios and 47 one-bedroom flats. 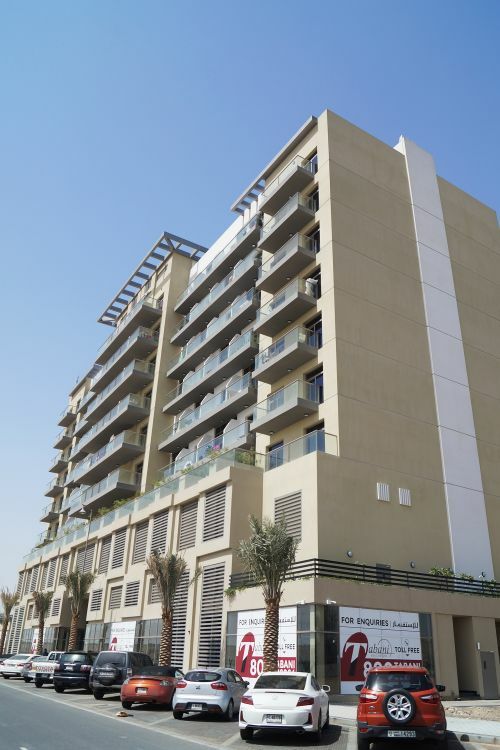 The studios have an average area of 410 sq ft, and the one-bedroom apartments an average area of 818 sq ft.
Facilities and amenities include landscaped gardens, gymnasium, swimming pool, children’s pool, spa, restaurants, café, prayer rooms, room service, laundry and valet parking. 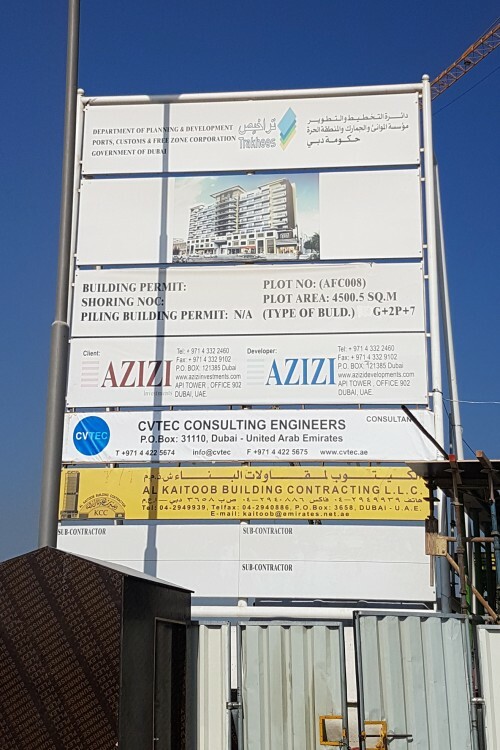 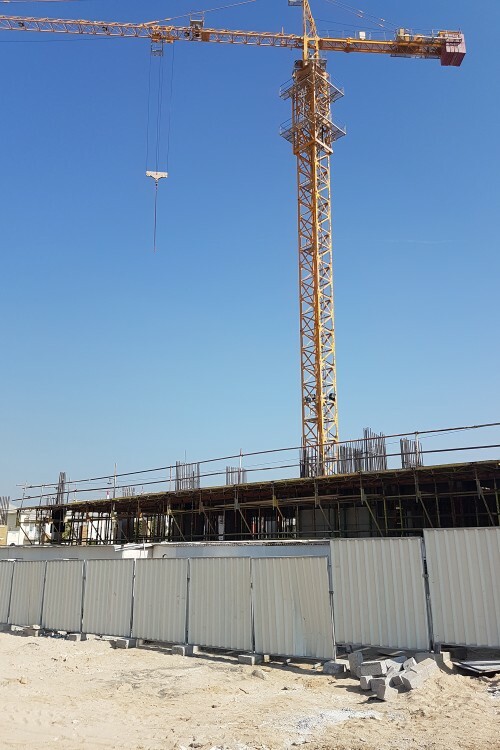 The building was completed for hand-over in March 2018. 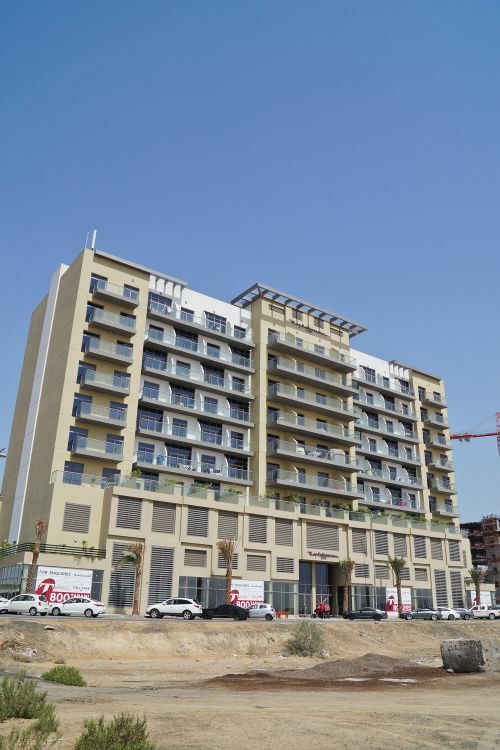 One-click links to properties currently on the market in Roy Mediterranean Serviced Apartments.